A famous Danish philosopher, Søren Aabye Kierkegaard (1813-1855), said once that we are what we eat. Similarly, the books we read become a part of us. Books have a wonderful way to take us to places we’ve never visited. They help us experience and understand how life goes on in other parts of the world. Several masterpieces of literature are still read and admired. We bring five much loved books, set in beautiful locations across the world. Get ready to explore. Tom Sawyer lives with his Aunt and his brother in a fictional town along the banks of the Mississipi River. His best friends are Huckleberry Finn and Joe Harper while Becky Thatcher is the schoolgirl Tom falls in love with. The book tells us about the adventures of Tom and his friends; where they solve a murder mystery, have lots of fun, crack jokes, and share laughter and tears together. Mississippi River, Mississippi State, South America: The Great River Road follows the Mississippi River from its origin in Minnesota up to the Gulf of Mexico. It leads through ten states, each with its own story, culture and landscape. Heidi is an orphan child who lives in Switzerland with her grandfather, hundreads of goats, and her best friend Peter. Their life in the Alps, in the pristine mountain is a wonderful one, until Heidi is forced to move to Frankfurt, Germany to keep company with Clara. The book compares two different environmental sets: the natural one versus the industrial. Heidi who has lived amidst nature is healthy, and full of life, whereas Clara is paralyzed and has a less bubbling personality. The Swiss Alps, Switzerland: The Alps cover about 65% of Switzerland’s surface. The highest mountain in the Alps is the Monte Rosa. There are lots of trekking and mountaineering destinations here. Skiing, winter sports, and mountaineering are popular here. The book narrates a fantastic adventure of a scientist-inventor, Phileas Fogg and his French valet called Passepartout. Phileas places a bet that he can complete a journey around the world in just 80 days. Phileas and Passepartout travel from London to Italy to Suez and then further ahead to Mumbai, Kolkata, Hong Kong, Yokohama, San Francisco, New York, and finally back to London. They face many challenges; they get separated, get robbed, they even manage to save an Indian lady, and finally they reach on time and win the bet. London, England: The beautiful, historical city of London is known for the clock tower called the Big Ben, the London Eye, Tower Bridge, and Palace of Westminster. 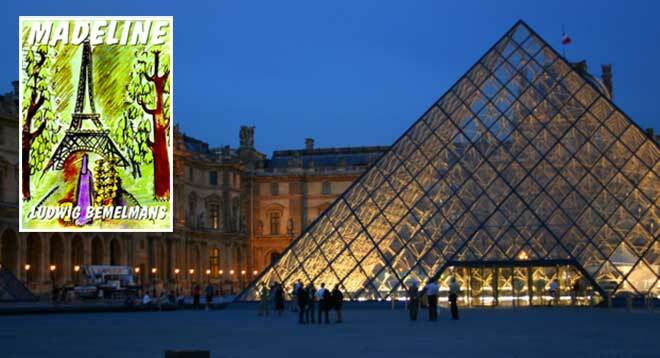 This is a series that shows the adventures of Madeline, set in Paris. The book always opens with the line: “In an old house in Paris that was covered in vines, lived twelve little girls in two straight lines…”. Among these girls is Madeline. In the first book, Madeline gets an appendicitis operation. Brave Madeline is least bothered about it. For her, a trip to the hospital is an adventure. Paris, France: There is more to Paris other than the Eiffel Tower. The Louvre (Museum), Château de Versailles, and the Impressive Gothic cathedral, that inspired Victor Hugo’s novel- The Hunchback of Notre Dame, to name a few. 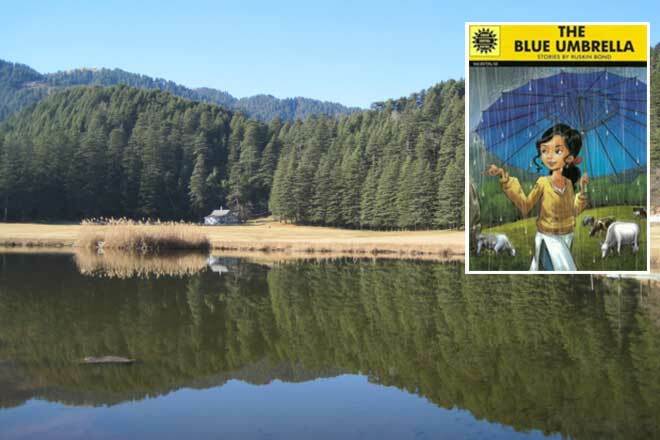 Most of Ruskin Bond’s books are influenced by his childhood spent in hill stations at the foothills of Himalaya. One such book is about a little girl, Binya, who trades her necklace for a pretty blue umbrella. Everyone loves her blue umbrella, much to the envy of the shopkeeper from whom she had traded it. Ultimately the shopkeeper convinces Binya to trade back the umbrella for her necklace. Dalhousie, Himachal Pradesh: Named after the 19th century British Governer General Lord Dalhousie, this is a beautiful town with the mighty Dhauladhar mountain range filling the horizon.